I'm not sure whether if you've heard of Marmite, but I've always heard from my mum that she and her family used to have it with porridge and it was really yummy! 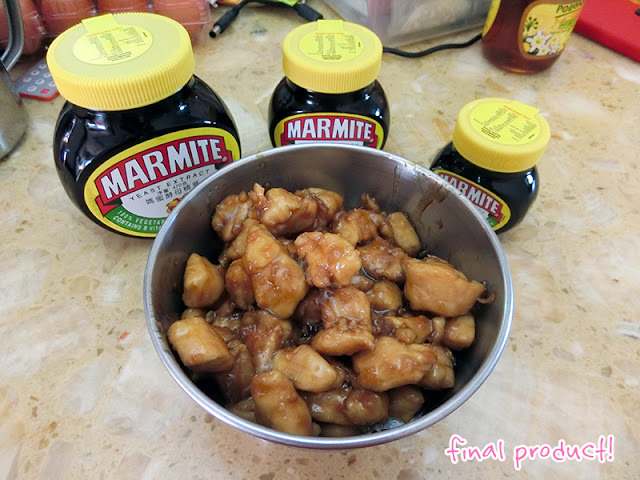 I've not came across Marmite until 5-6 years ago, where I ordered a plate of Marmite Chicken with rice from a food court and it was really yummy! From then on I really really love the taste!!!! 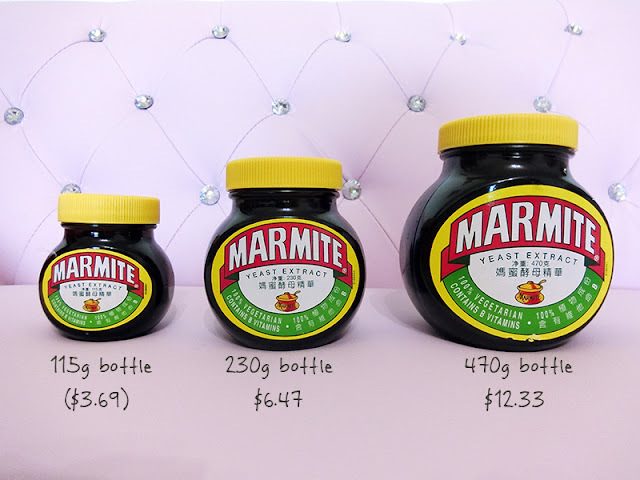 As you can see, not only is Marmite affordable, it's also filled with benefits and widely available at your local supermarkets. You had be surprised if you ever googled "Marmite recipes". There are endless of creations you can do with Marmite!!! Use it in your appetizers, your mains, and even desserts!!!! You can even use it as a spread on your bread. So in today's recipe, I will be sharing with you a Marmite Chicken recipe that I adapted from Nasi Lemak's lover. 1.) 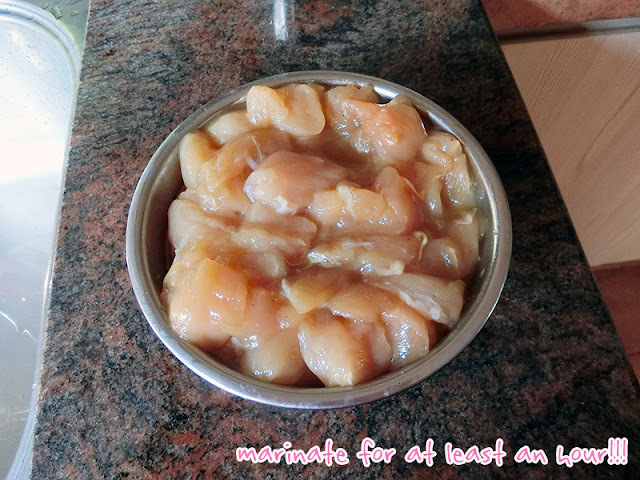 Marinate chicken with soy sauce, salt, pepper and egg for an hour or longer. I did it for about 3h so that my chicken will be more full in flavour. 2.) 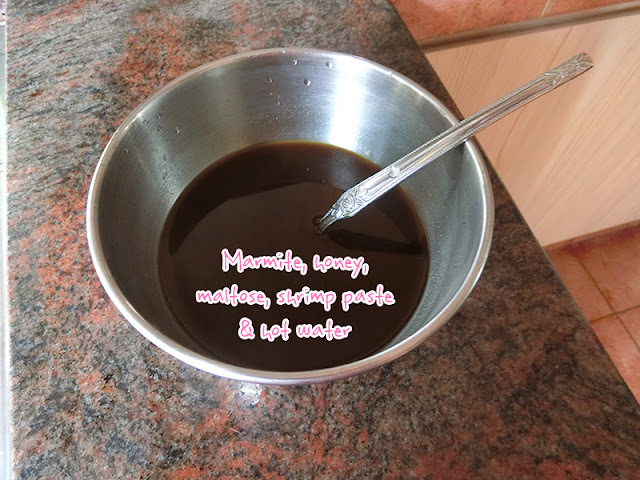 Add Marmite, honey, maltose* and shrimp paste to hot water, mix well and set aside. *Maltose can be found at Sheng Siong Supermarket. 3.) 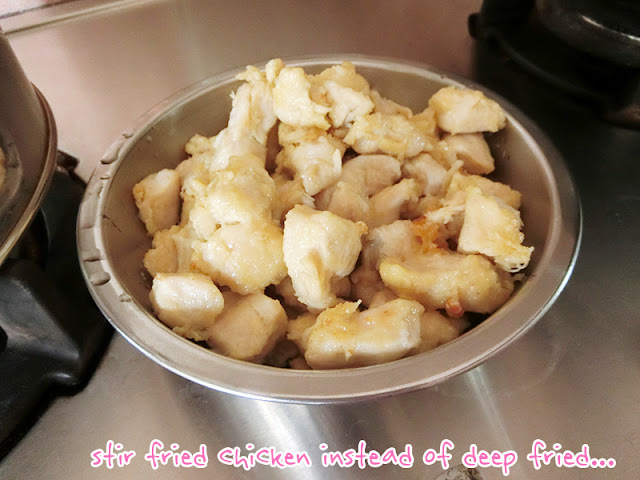 Add in flour to the chicken and coat well, deep fried chicken over medium heat till golden brown. For me, i didn't coat the chicken as I didn't want my chicken to be deep fried as I was sick, so I opted for a stir fried chicken instead. If you prefer to eat healthier, you can also do it the stir fried way too!! 4.) 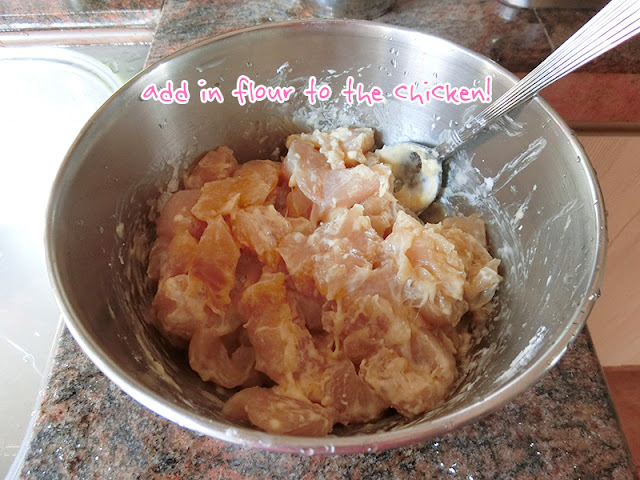 Use the same work, add in garlic and marmite mixture, stir and cook till big bubbles and add in fried chicken. 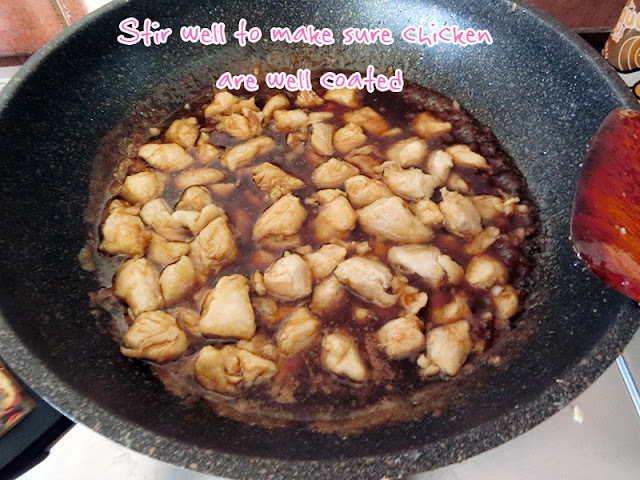 Stir well to make sure chicken are well coated. 5.) Optional: Garnish with sesame seeds, red chilli and parsley. You can head to SampleStore.com here to redeem your FREE Marmite bottle sample from 8th August 2016! After redeeming your free sample, share in your Sample Store review your personal experience on how you enjoyed your Marmite free sample e.g. mix in porridge, soup, toast or cooking. There will be 3 winners to each win 3 different sized bottles. Winners to be announced on Sample Store Instagram & Facebook page. Contest ends 30th September 2016. How to get your hands on 純萃喝。chun cui he!